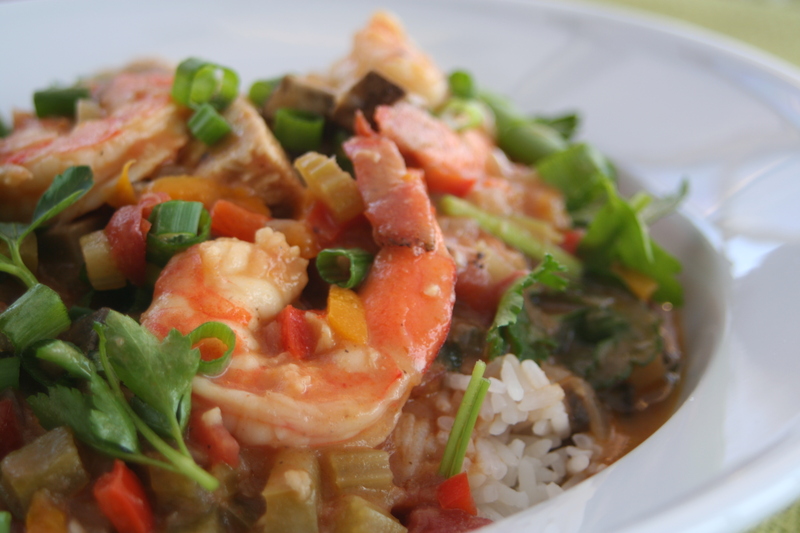 I was introduced to Etoufee for the first time when I visited New Orleans in 2010. I fell in love with southern food. While Etoufee is typically served with shellfish, I added portobello mushrooms and vegan chicken strips to cater to a fussy eater who doesn’t eat seafood. I get my seafood fix, and he gets his vegan fix. We are both happy :). Season the shrimp with 1/2 tsp creole seasoning, set aside. Remove the stems from the portobello mushrooms. Scrape off the gills from the underside of the cap with a spoon. Dice the mushroom caps. Melt butter in a large dutch oven set over medium heat. Add the flour and stir continuously over medium high heat to make a roux, about 8 minutes. The roux is ready when it turns mahogany. Add the onions, bell peppers, celery, and garlic to the roux, and stir over medium heat for 5 minutes. Add the tomatoes to the pot and season with the bay leaves, salt, cayenne pepper, and 1 tsp creole seasoning. Stir in the chicken stock, diced mushrooms and vegan chicken strips. Bring the mixture to a boil, and reduce heat to a simmer. Simmer the Etouffee over medium low heat for 30 minutes, stirring occasionally. 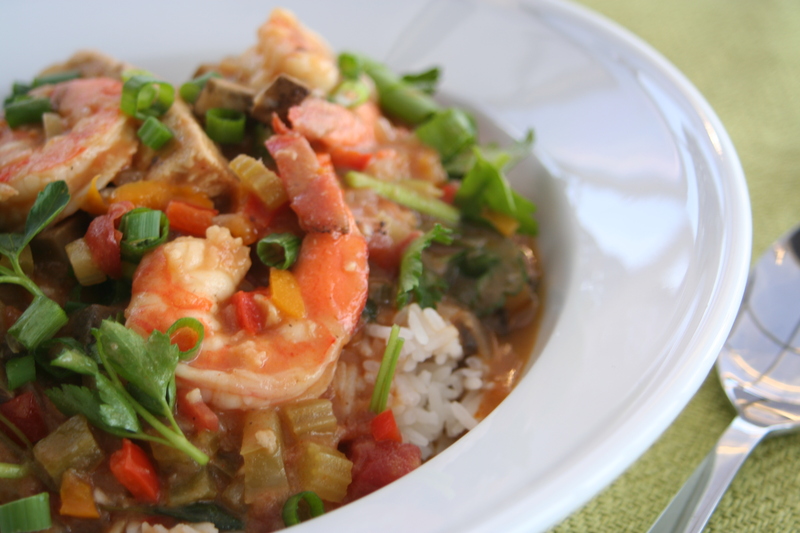 Add seasoned shrimp to the Etouffee. Cook the shrimp for 5 to 7 minutes. Add the chopped parsley to the pot and stir to combine. Serve immediately over steamed white rice and garnish with chopped green onion.